Karen Diaz, a native of Los Gatos, CA, has been a military spouse for eight years. During this time she initiated and managed several military Family Support Groups (FRG). Her love for service members and their families drew her to these challenging positions where she loved supporting and assisting military families during challenging encounters and deployments. 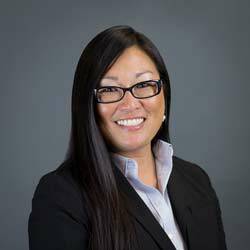 Karen holds a Bachelors degree in Speech Communication from San Diego State University (SDSU) and her professional background is influenced around customer service and management. Her other experiences include the banking industry as well as financial management for several businesses. She continuously strives to ensure everyone she encounters has an exceptional and positive experience while being extremely satisfied with their outcomes. Karen is the mother of six children in whom she emulates an environment of positive reinforcement and drive; always advising them to reach for the stars and overcome any obstacles they are faced with. Karen is an active member of the Fort Irwin Community as a volunteer to the Child, Youth and School Services (CYSS) and also a member of the Military and Spouses Club of Ft. Irwin. Karen continues her service to military members and families as the Regional Manager Strategic Military and Community Relations for Trident University at the Education Office on Fort Irwin, CA. In this role she will advise and assist current and potential students on their education needs, benefits, and other services provided by Trident University. Karen believes ‘Knowledge is Power’.